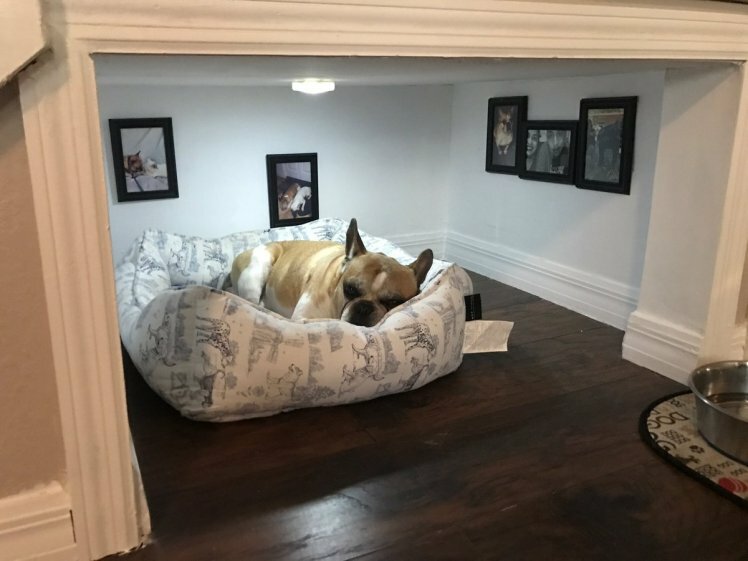 A fluffy bed, premium dog food and twice-daily walks don’t mean sh*t if you haven’t built your pooch its very own canine-sized bedroom in your home.Isn’t that right, Al from California?Yes, Al’s brother went to great lengths to build his furry bezzie its very own room under the stairs, and his bro was – understandably – quite keen to share it with the world. The room is complete with wooden floorboards, immaculately painted walls and a ceiling light. I need to have a word with my landlady as the standard of decoration is a lot higher than in my (very humble) abode. The room even has picture frames hanging on the walls, full of photos of the dog itself and its beloved humans. However, it didn’t always look so chic – Al’s tweet shows the process of taking the room from zero to hero.